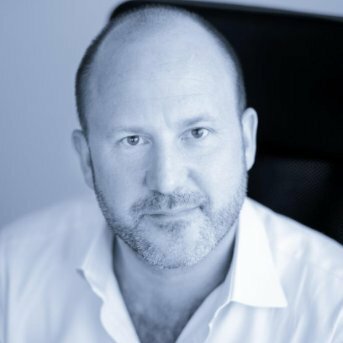 – During the closing ceremony of the World Economic Forum last week in Davos, Switzerland, Tristan Forster – CEO of the ethical recruitment and management company FSI Worldwide – was awarded the Business Leaders Award to Fight Human Trafficking. The Award merits private sector individuals who show leadership in finding creative and sustainable solutions to combat modern slavery across the globe. Human trafficking affects virtually every country in the world. According to the latest UNODC Global Report on Human Trafficking, victims from 136 different nationalities have been found in 118 destination countries, and there are at least 460 distinct trafficking flows crossing all continents and every region. Human trafficking is also big business for organized crime groups, with estimates running in the billions of dollars annually. Despite these economic realities, the dominant approach to combating human trafficking has been to rely almost exclusively on Governments and civil society organizations, and little has been asked of the private sector. “For all our efforts, for all our hard work, we must also acknowledge that we cannot confront human trafficking alone” said UNODC Executive Director Yury Fedotov at the Award ceremony. 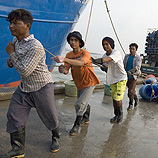 Human trafficking demands a joint response from all sectors of society, including the private sector. The Award Jury unanimously selected Tristan Forster for establishing and leading a recruitment and manpower company promoting ethical labour supply. FSI Worldwide’s work centers around demonstrating to employers that an ethically recruited and managed workforce is significantly more efficient and effective than one made up of bonded, demoralized and exploited workers. All recruits are selected on merit, and the company has provided an umbrella of employment protection for over 2,000 recruits. The company currently operates in Nepal, Kenya, India, the United Arab Emirates and the United Kingdom, providing ethically sourced manpower to sectors with high-risk of human trafficking and bonded labour, such as security, oil and gas, hospitality, retail and construction. FSI Worldwide is also engaged with partners in Government, academia, the private sector and civil society to develop best practices in “third country national” recruitment and to help eradicate the threat of human trafficking and exploitation among the world’s poorest and most vulnerable people. The Business Leaders Award to Fight Human Trafficking is a good practice award launched in 2008 at the regional meeting of the World Economic Forum in Luxor, Egypt. It is designed to spur private sector action by recognizing the work of executives engaged in combating human trafficking and to serve as an incentive for greater innovation to combat this crime. The Award is jointly led by End Human Trafficking Now, the United Nations Global Initiative to Fight Human Trafficking (UN.GIFT), the United Nations Global Compact and UNODC.